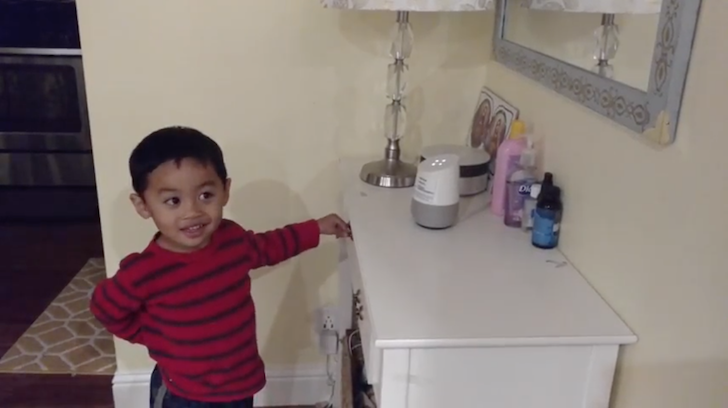 By now, you've seen dozens of demos of Google Home, but none, and I repeat absolutely none, is as adorable or as convincing as this 4-year-old boy talking to Google like she's his best buddy. I can't imagine the number of times his preschool teachers' eyes rolled when he talked about Google as if she was a close friend of his who answers all his questions and plays his favorite music. But without getting ahead of ourselves, you'll see hear the boy turn on the living room lights at first, then launch into a series of "Okay Googeeelll" questions with the super precise enunciation that you expect of a 4-year-old (read: nah).